Winter home maintenance tips are especially important this 2017. We have just come through one of the worst hurricane seasons and there have been earthquakes in many parts of the world. If the trend continues, we may face a rainy winter with high winds, torrential storms, and snow blizzards up north. We must prepare for all eventualities, while the late autumn is gentle and we have the time. Our strategy has two essential anchor points for winter home maintenance tips. These points are to keep the elements outside where they belong and keep our home snug and warm, which costs less when we do this proactively. Let us begin inside, just in case we need to check our heating for repairs. Did you know we need far more energy to raise the inside temperature by a degree than to maintain it there? We call this latent heat. Unless we are the fortunate few off the grid, this means that we may need more money to recover the situation, than avoid it. 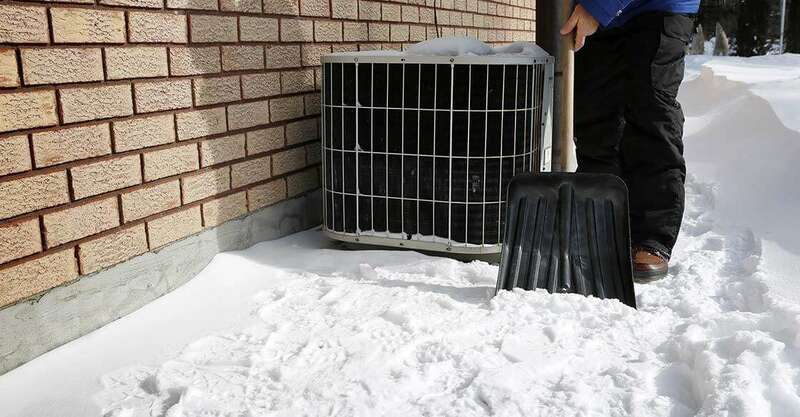 It may make more sense to arrange a pre-winter HVAC inspection than having a more expensive emergency call out. We cannot tell you which is best. However, if you last checked it over a year ago you could be facing a few chilly nights. Our roof is our primary defense from rain, wind, sleet, and snow. Do a visual inspection for loose bargeboards, displaced tiles, and damaged shingles. Flowing water is a mighty powerful thing. It can find its way through weak defenses. Gutters clogged with loose leaves, sticks, and old black mold from roof sheets can cause water to back up, and find a way past shingles and tiles. Damp patches on a ceiling are one thing. Avoid the other by clearing the gutter line. A cold winter wind can radically lower our body temperature. If we have leaky siding or weather-stripping, cold air comes in. The same applies if our windows and doors to not seal properly when they close. Seal any gaps you suspect with caulking and fresh weather stripping. One way to check is with a piece of paper when there is a breeze outside. If it moves inside, then you have a gap in your defenses. This is just one of winter home maintenance tips we can give you. We have entered a phase where global warming makes weather less predictable. If you are off the grid for a few days, will you have enough stored energy to keep your home systems operating? How will you keep your home warm? Do you have an adequate supply of drinking water and food put away? This may sound unnecessarily alarming. However, we have come through bad weather patches recently. A few hundred dollars spent on HVAC may prove a wise investment yet.